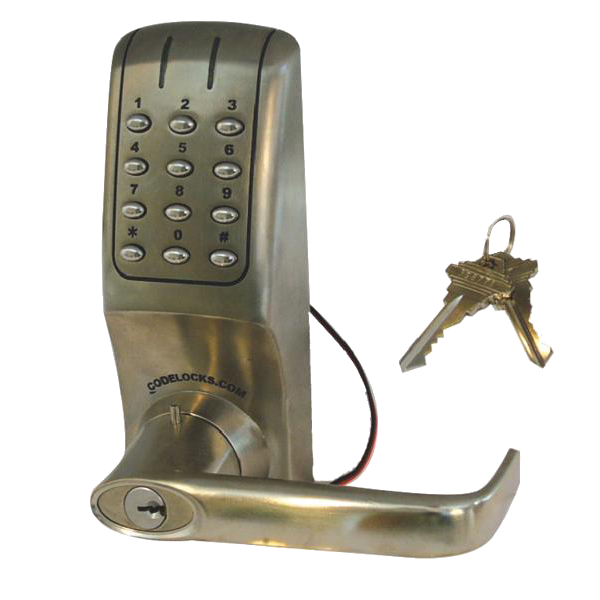 The CL2255 is a medium duty electronic lock. The outside knob turns freely without operating the latchbolt. When a valid code is entered and the blue LED lights burn, the knob will retract the latchbolt. When the door closes the spring latch will automatically lock the door. The key will open the door for management functions. 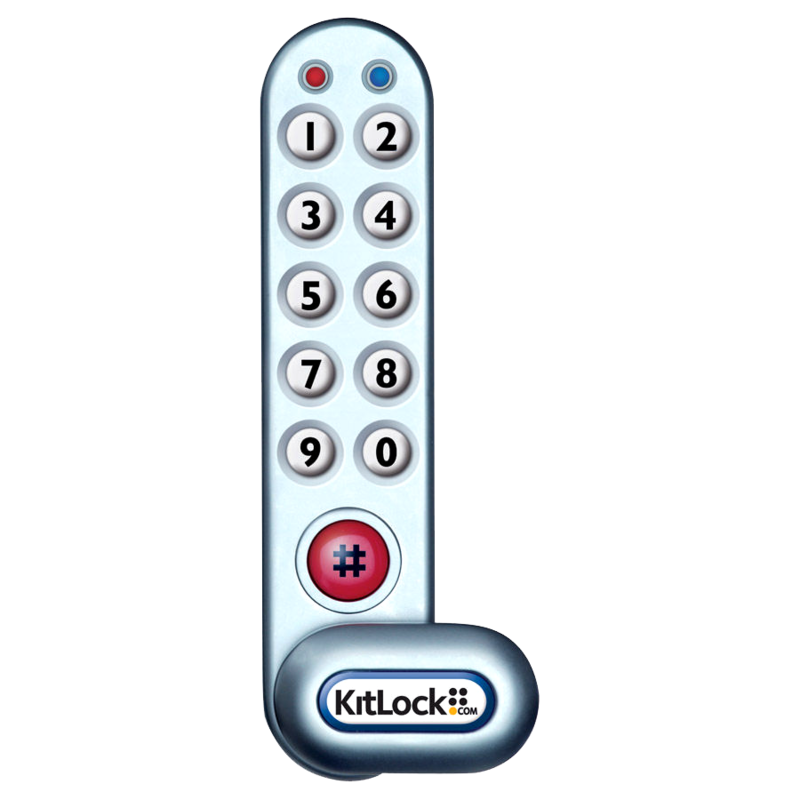 Code Free Mode can be programmed at the keypad using the Master Code. 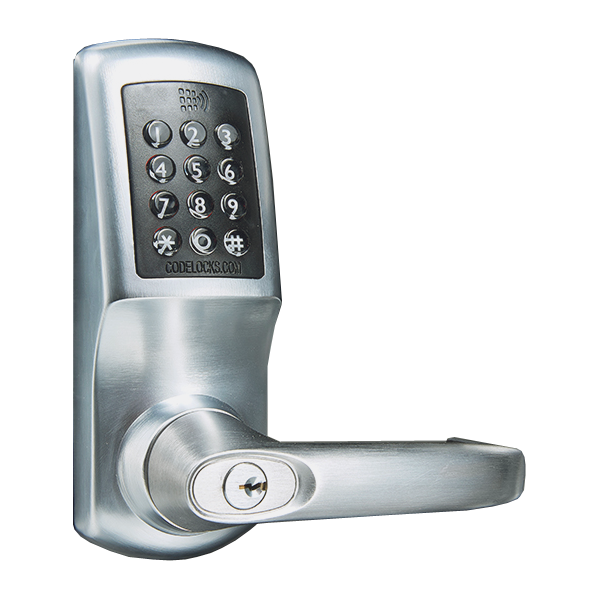 The CL4010 is a medium duty lock. The outside lever turns freely without operating the latchbolt. When a valid code is entered and the blue LED lights, the lever will retract the latchbolt. When the door closes the spring latch will automatically lock the door. The key will open the door for management functions. The key may be used to set the lock into Code Free mode so that anyone can open the door without using a code. Code Free Mode can also be programmed at the keypad using the Master Code. Codelocks Smart Locks keep getting smarter. 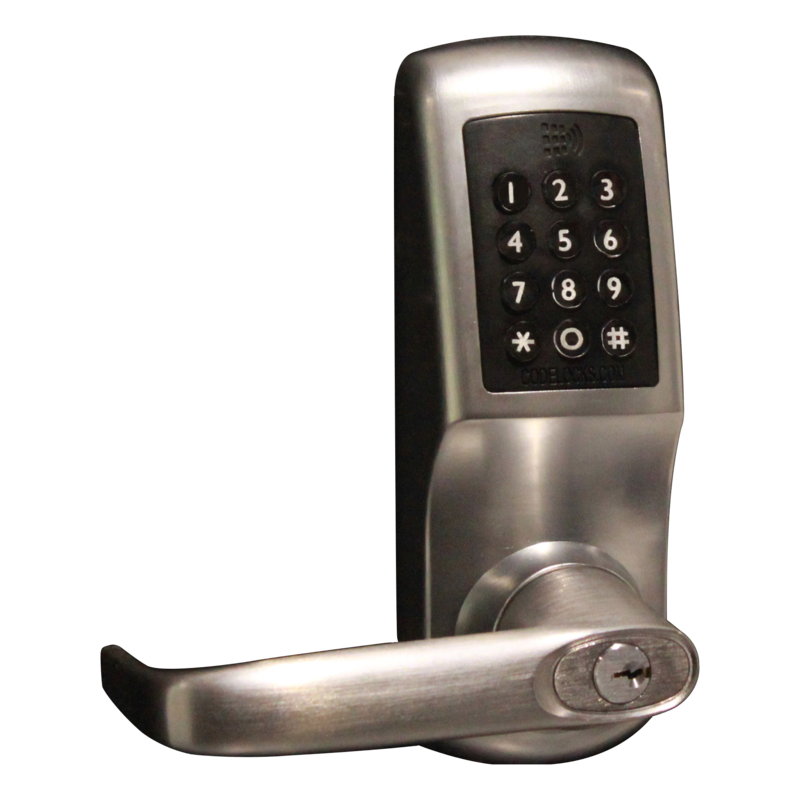 This model features all the great benefits and security of larger smart locks, but in a slimmer, sleeker and more stylish design. 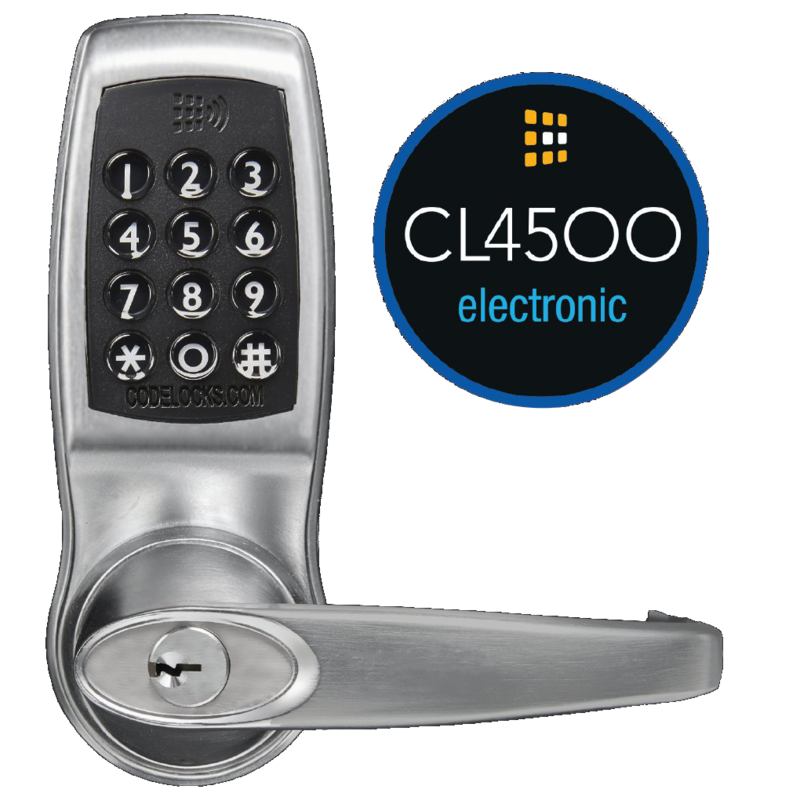 The Bluetooth enabled CL4510 digital lock from Codelocks combines advanced programming with convenient smartphone management and operation thanks to the K3 Connect App. Simply download the K3 Connect App to your Bluetooth enabled smartphone to manage the lock from the palm of your hand including programming, access code generation, smart card distribution and audit trail tracking. Android and iOS compatible, the K3 Connect App allows building managers to manage all aspects of the lock remotely thanks to advanced wireless technology. The lock supports a total of 350 users with a choice of entry options including 100 user codes, 150 MIFARE® smart cards (or fobs/wristbands) and 100 phone clients. Tight entry control can be achieved through the use of timed NetCodes. Generated and distributed by email and SMS, these NetCodes can be created with a start date and duration. When this pre-set duration has passed, the code will expire and access using this code will cease. The CL4510 features an audit trail facility which allows users to download a history of code/card use to analyse the movement of staff or clients through the building. Other advanced programming facilities include scheduled `code free` periods and timed access codes with a set duration and expiry. The CL5010 is a heavy duty electronic tubular mortice latch. 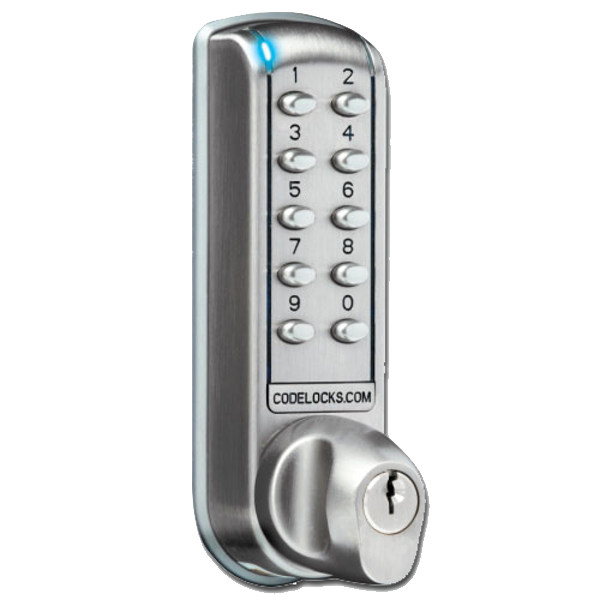 The Bluetooth enabled CL5510 digital lock from Codelocks combines advanced programming with convenient smartphone management and operation thanks to the K3 Connect App. Simply download the K3 Connect App to your Bluetooth enabled smartphone to manage the lock from the palm of your hand including programming, access code generation, smart card distribution and audit trail tracking. Andriod and iOS compatible, the K3 Connect App allows building managers to manage all aspects of the lock remotely thanks to advanced wireless technology. The lock supports a total of 350 users with a choice of entry options including 100 user codes, 150 MIFARE® smart cards (or fobs/wristbands) and 100 phone clients. Tight entry control can be achieved through the use of timed NetCodes. Generated and distributed by email and SMS, these NetCodes can be created with a start date and duration. When this pre-set duration has passed, the code will expire and access using this code will cease. The CL5510 features an audit trail facility which allows users to download a history of code/card use to analyse the movement of staff or clients through you building. Other advanced programming facilities include scheduled `code free` periods and timed access codes with a set duration and expiry. The CL5520 Smart Lock from Codelocks is a digital mortice lock with double cylinder which can be programmed and managed entirely using the K3 Connect App on your smartphone. This allows for a variety of functions including programming, access code generation, smart card distribution and audit trail tracking. Android and iOS compatible, the K3 Connect App allows building managers to manage all aspects of the lock remotely thanks to advanced wireless technology. The smart lock supports up to 350 users, with 100 client user codes, 100 phone clients and 150 client smart cards as an alternative entry option. Tight entry control can be achieved through the use of timed NetCodes. Generated and distributed by email and SMS, these NetCodes can be created with a start date and duration. When this pre-set duration has passed, the code will expire and access using this code will cease. The audit trail facility allows users to download a history of code/card use to analyse the movement of staff or clients through you building. Other advanced programming facilities include scheduled `code free` periods and timed access codes with a set duration and expiry. The CL5520 can also be set in code-free mode at fixed times of the day, for example when access is required for cleaning, maintenance or deliveries. 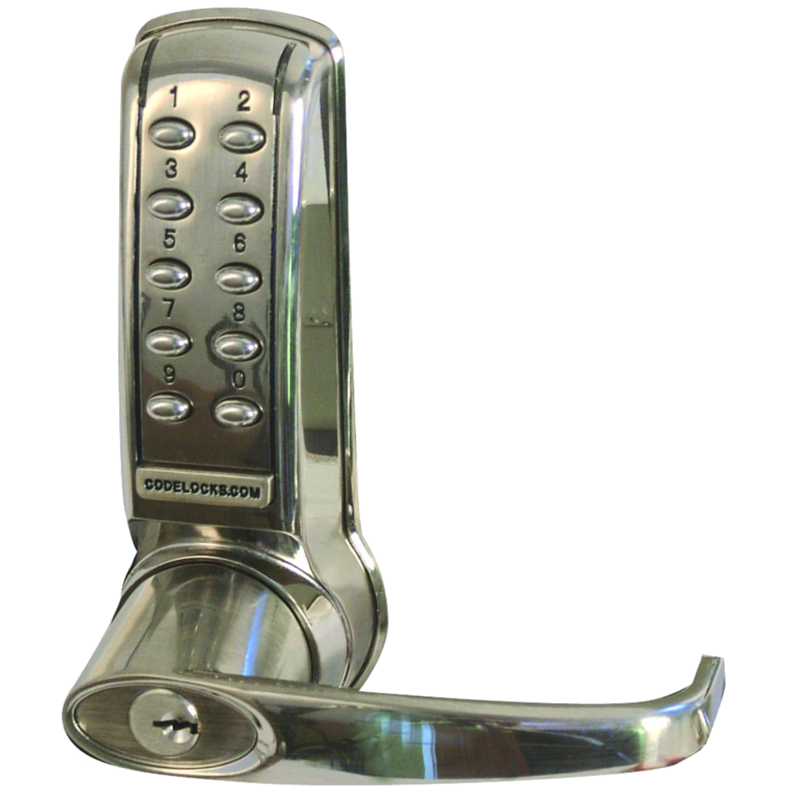 This removes the need for a key to manually unlock doors, however, the key can be used to open doors for management functions. Up to 10 different code-free periods can be created, that automatically enable when scheduled. 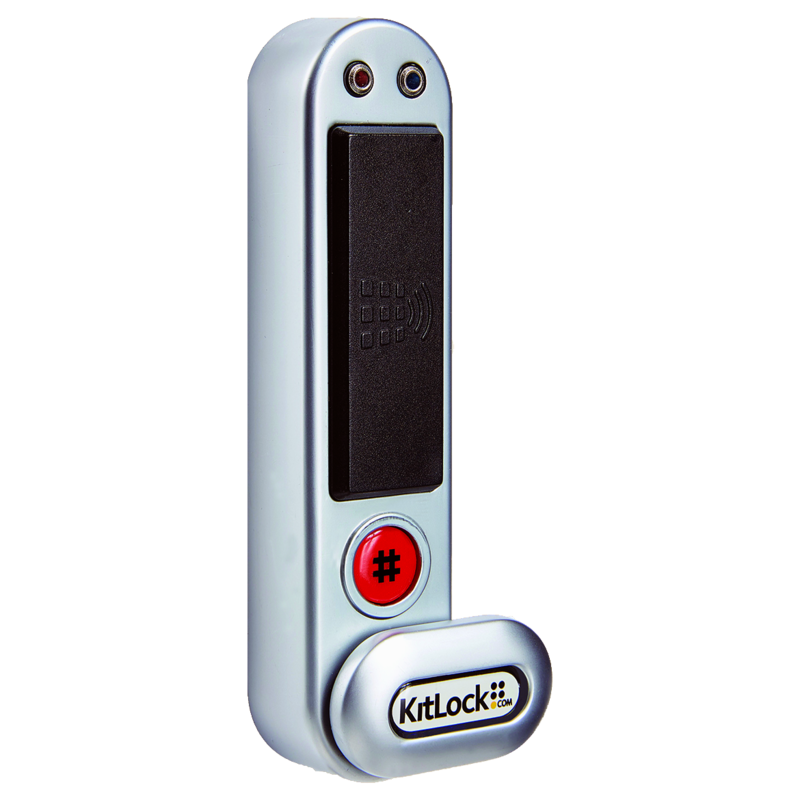 This Kitlock KL1050 by Codelocks gives keyfree and codeless access to cabinets, cupboards, lockers and other forms of storage. It is a long life product, giving up to 15,000 openings using just 2 AAA batteries. It comes supplied with all fixings and fitting instructions, and is easy to install and use. Additional features include the battery override, as well as LED indications and low battery warnings. The KL1000 Cabinet Locks is a quick retrofit for keyed cam locks supplied as standard on a wide range of lockers, cabinets and cupboards. 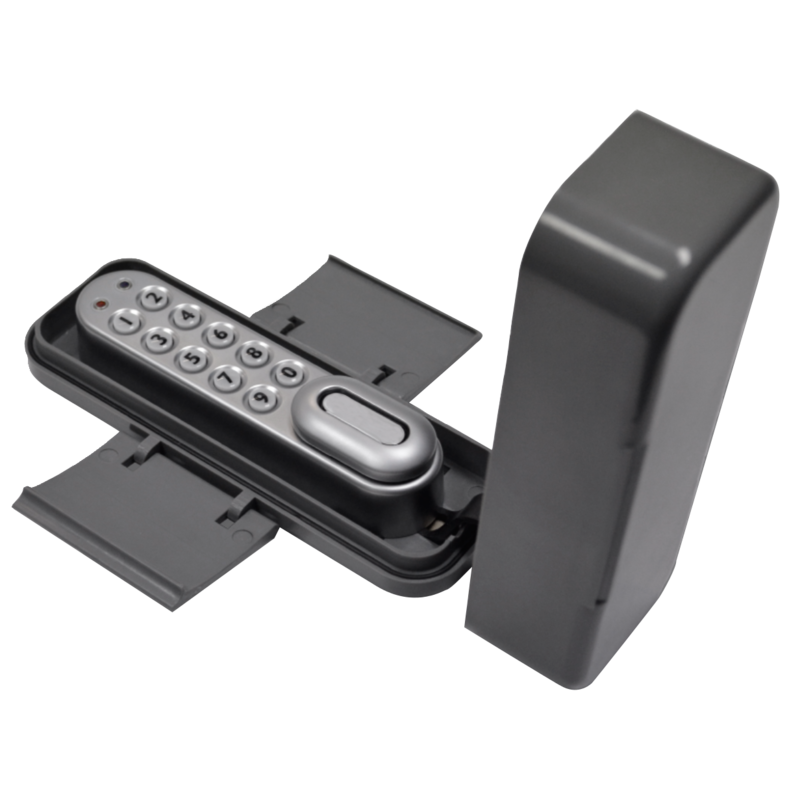 It can just as easily be fitted to units which don’t have a locking device already fitted, giving the user immediate, simple, keypad access without the hassle of keys! 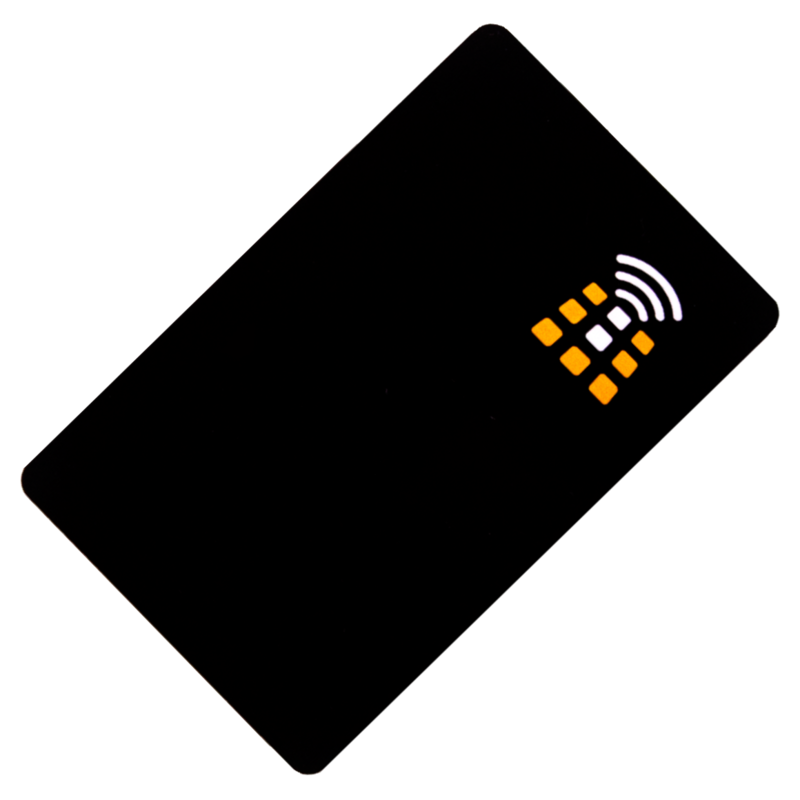 Pack of 10 Mifare Smart Cards, designed to suit Codelocks products CL4510, CL5510, KL1050 & KL1550. These cards allow for keyless and codeless lock access for both private and public uses. 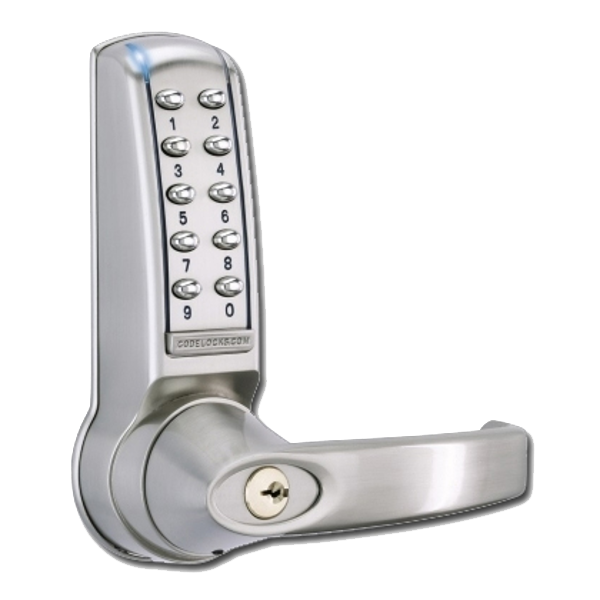 Protective weatherproof casing to suit Codelocks CL100 CL200 & KL1000 series locks (locks supplied separately).